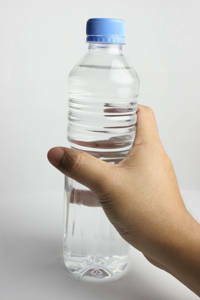 Effective May 1, 2012, bottled water will no longer be available in Concordia vending machines. This comes as the first phase in the water access project launched last year by the university. The move forms part of a larger commitment made last year to the university community: following extensive campus dialogue and backed by significant research from Sustainable Concordia, the decision was made to phase out and ultimately eliminate within vending machine sales of water, while also refitting existing drinking fountains as bottle refilling stations. A team of administrators and student leaders spent nearly a year reviewing the policies implemented in other Canadian universities, listening to presentations from the bottled water industry and holding open forums to hear from the community; the result was a comprehensive plan to ensure more sustainable water use on campus. Currently, the bottled water has been substituted with alternate options including juices, vitamin water and soft drinks. As water-refilling stations become more accessible over the coming months, the placement and product line-up of campus vending will be carefully reviewed.